The Lake Region Soccer Club will hold its annual car wash from 9 a.m. to 1 p.m. Saturday, Aug. 25, at the Naples Fire Station, off Route 302. The car wash is donation-only to support the nonprofit organization, which provides three seasons of soccer skill training to area kids. Funds raised will assist with new uniforms and to supply soccer balls to players. Players of all ages will be hard at work. They will also have a bake sale so you can enjoy some refreshments while you wait. Come and get your car washed and help support local kids who love soccer. Free to be Me summer camp will be held Aug. 20-24 from 8:30 a.m. to 4:30 p.m. at the Naples Town Gym. Extended hours for an additional fee, from 7 a.m. to 6 p.m. are also available. To register, go to the new Naples Recreation website at naplesrecreation.org. For further information and additional questions, email recreation@townofnaples.org or call Peter Ceprano at 693-6364 ext. 104. Naples and Casco are looking for K-6 students to register for the recreation soccer program. Sign-ups will continue through the beginning weeks of school. To register for soccer or for more information go to naplesrecreation.org or cascomaine.org/recreation.htm. Naples also is now registering players for its grades 1-6 football program, along with coaches. Go to naplesrecreation.org. For further information, email recreation@townofnaples.org or call Peter Ceprano at 693-6364 ext. 104. The final two summer concerts on the Naples Green will be held Sunday, Aug. 19, and Aug. 26 at 6 p.m.
Milltown Road Show, with an an acoustic country bluegrass sound, will perform Aug. 19. 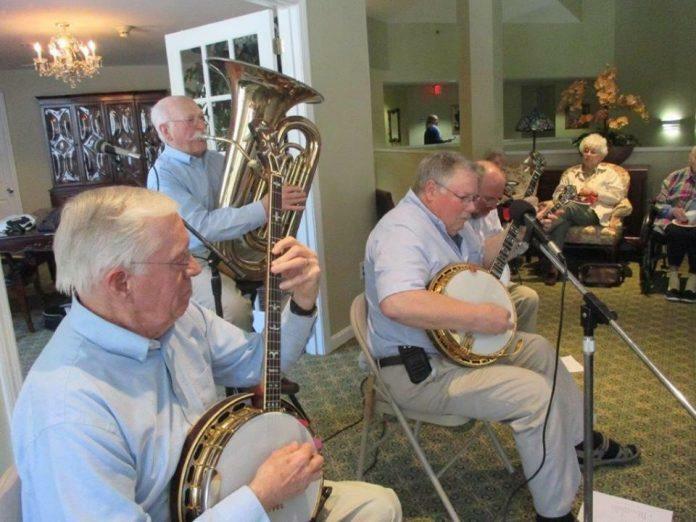 Doc’s Banjo Band will blend bluegrass and jazz on Aug. 26. Doc’s Banjo Band will perform the Green Aug. 26.